Step 6. 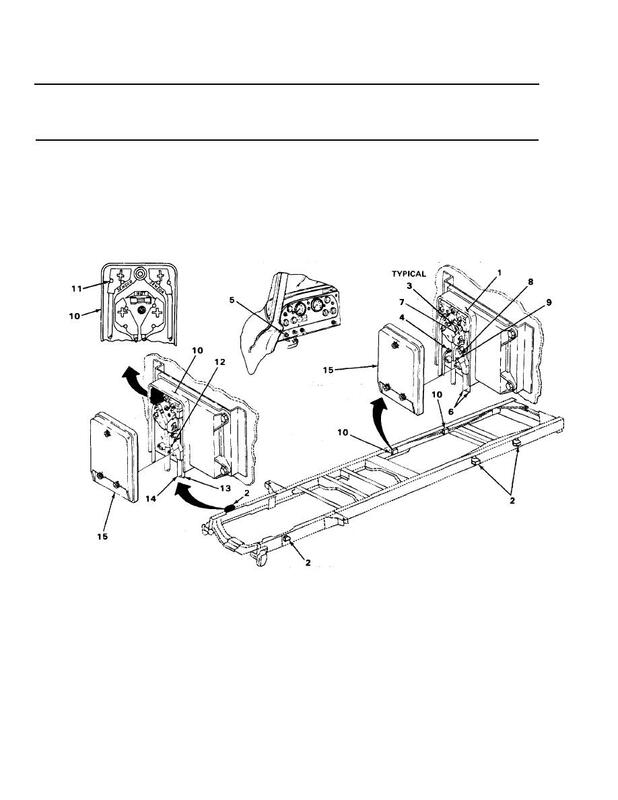 Inspect modulator valves (2) and wires (12) and (13). a. Inspect wires (12) and (13) for corrosion, wear, and sharp bends. b. Repair or replace as needed (page 2-1002). valves (2) as needed (page 2-1002). d. Install cover (15) using flat-tip screwdriver on module (1) or (10).